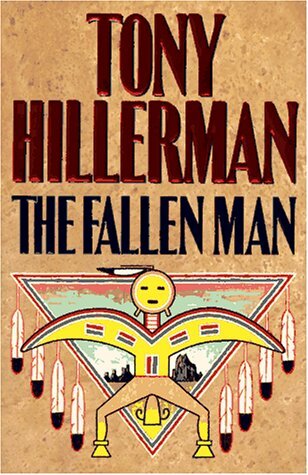 THE FALLEN MAN by HILLERMAN, Tony: HarperCollins, NY 9780060177737 First printing. - Second Life Books, Inc. Investigating the discovery of a skeleton at one of the holiest places in Navajo religion, Jim Chee and the newly retired Joe Leaphorn realize that the body is that of a missing person from one of Joe's long-unsolved past cases. 350,000 first printing. $300,000 ad/promo. Tour. "They sat for a while, engulfed by sunlight, cool air and silence. A raven planed down from the rim, circled around a cottonwood, landed on a Russian olive across the canyon floor and perched, waiting for them to die." Nobody in the world could have written that paragraph but Tony Hillerman. Two old men sit, surrounded by the natural beauty of Canyon de Chelly, talking about death. The fact that one of the men is Joe Leaphorn, (the Legendary Lieutenant, as his younger colleague Jim Chee irreverently but accurately calls him behind his back) means that something serious has happened--a crime in some way connected to the Navajo people. But Leaphorn has retired from the Navajo Tribal Police, and the only person dead so far is a rich Anglo named Hal Breedlove, who fell while trying to climb Ship Rock 11 years before. Chee is busy on another, more prosaic matter, but he can't resist helping his thorny mentor on Leaphorn's first case as a private detective. The Fallen Man is brisk, beautiful, funny, and poignant--as good a place as any for first-timers to plunge into Hillerman Country. Then they can catch up on past triumphs with Three Joe Leaphorn Mysteries (The Blessing Way/Dance Hall of the Dead/Listening Woman) and Three Jim Chee Mysteries (People of Darkness/The Dark Wind/The Ghostway).